Just finished reading this and could not put it down. Vianne's sister, Isabelle, is a rebellious eighteen-year-old girl, searching for purpose with all the reckless passion of youth. While thousands of Parisians march into the unknown terrors of war, she meets Gaetan, a partisan who believes the French can fight the Nazis from within France, and she falls in love as only the young can...completely. But when he betrays her, Isabelle joins the Resistance and never looks back, risking her life time and again to save others. Friday night we watched this movie. It is on both Amazon and Netflix. I love Maggie Smith! The Lady in the Van tells the true story of Alan Bennett's strained friendship with Miss Mary Shepherd, an eccentric homeless woman whom Bennett befriended in the 1970s before allowing her temporarily to park her Bedford van in the driveway of his Camden home. She stayed there for 15 years. As the story develops Bennett learns that Miss Shepherd is really Margaret Fairchild (died 1989), a former gifted pupil of the pianist Alfred Cortot. She had played Chopin in a promenade concert, tried to become a nun, was committed to an institution by her brother, escaped, had an accident when her van was hit by a motorcyclist for which she believed herself to blame, and thereafter lived in fear of arrest. Don't forget to take a look at my newest font family! I have been reading a lot lately, on the deck after dinner. Here are my recent favs. I always enjoy Anna Quindlen. Another favorite author is Joanne Harris. This is the 3rd book in Chocolat story. Unfortunately I thought it was the second one. Vianne Rocher, her partner Roux and her daughters Anouk and Rosette have been living on a houseboat on the Seine. Eight years have passed since the events of Chocolat. Anouk is fifteen years old, Rosette eight, and Vianne believes that finally she has found a way to escape her wanderlust and to settle down and be happy. However, the arrival of a letter from Lansquenet-sous-Tannes, the fictional village in which Chocolat was set, brings a new challenge to Vianne. The letter is from Armande Voizin, an old friend from Lansquenet. Armande died eight years ago, but she left the letter in her will, to be opened and delivered by her grandson, Luc. In it, she predicts that Lansquenet will some day need Vianne again, and asks Vianne to visit, if only to put flowers on an old lady's grave. Vianne, intrigued goes back to Lansquenet, taking her daughters with her. This is the second of a 4 book series. They can be read out of order which I have done. Here are the 3rd and 4th. Death hangs heavy in the disturbed air of Ireland's lonely Loughnabrone peat bog, an ancient holy place, steeped in legend, drowned in sorrow, and long since abandoned by man. Pathologist Nora Gavin has been called to an archaeological site in the bleak midlands west of Dublin—a place known as the LAKE OF SORROWS—to assist at an excavation where a well-preserved Iron Age body has been found in a bog. So.... what interesting things have you been reading? More great guests this weekend. Terry and Barry were here. It was the 4th Annual Golfapalooza. The men golf as much as possible and on breaks they watch golf. The women garden and shop. Saturday found us at the Farmer's Market. And from the shoes I wore it looked like I got dressed in the dark. Too bad that wasn't true. while Terry weeded, transplanted, and planted some lupine and foxglove. She has been working on this bed for 3 visits and it is looking good this year. All these great plants for only $40 at the market. Score. This book has been on my reading list for several years. I am finding it interesting. Empty Mansions is a rich mystery of wealth and loss, connecting the opulence of the 19th century's Gilded Age with a 21st century battle over a $300 million inheritance. At its heart is heiress Huguette Clark, a woman so secretive that, when she died at age 104, no new photograph of her had been seen for decades. Her father, W.A. Clark, was born in a log cabin, discovered incredible riches in copper in Montana territory after the Civil War, was thought to be as rich as Rockefeller, founded Las Vegas and was pushed out of the U.S. Senate for bribery. Huguette held a ticket on the Titanic and was still alive in New York City long after 9/11. She grew up in the largest house in New York City, a remarkable dwelling with 121 rooms for a family of four. She owned paintings by Degas and Renoir, a Stradivarius violin, and a vast collection of antique dolls. But wanting more than treasures, she lived out her last 20 years in a simple hospital room, devoting her wealth to her art and buying gifts for friends and strangers. Pulitzer Prize-winner and NBC News investigative reporter Bill Dedman stumbled onto the story of eccentricity and inherited wealth in 2010, discovering that Huguette’s fantastic homes in Santa Barbara, Connecticut and New York City were unoccupied but still maintained by servants. Dedman co-wrote the book with Huguette’s cousin Paul Clark Newell Jr., one of the few relatives to have conversations with her. I enjoy Maddie Allen's blog Muffins & Mixtapes. 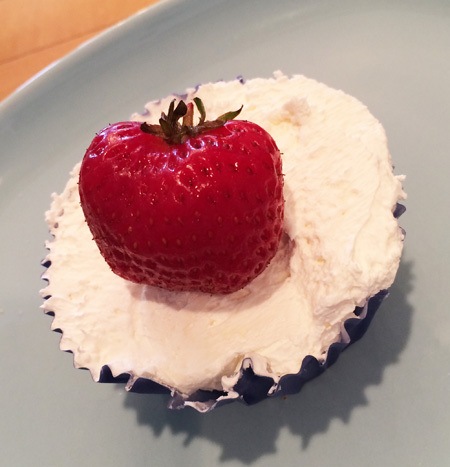 The No-Bake Mini Cheesecakes were a hit this week. Check her blog out, I like both the food and the music. I just worked my way through a large stack of books. I enjoyed these two. These are 3rd and 4th in a series and I just put the first two on my library list. I liked the forensics, archeology and history and that it took place in Ireland. False Mermaid... Gavin remains haunted by a cold case that nearly cost her sanity five years ago: her sister Tríona's brutal murder. After failing to bring the killer to justice, Nora fled to Ireland, throwing herself into her work and taking the first tentative steps in a new relationship with Irish archaeologist Cormac Maguire. She's driven home by unwelcome news: Tríona's husband—and the prime suspect in her murder—is about to remarry. Nora is determined to succeed this time, even if it means confronting unsettling secrets. As she digs ever closer to the truth, the killer zeroes in on Tríona's young daughter, Elizabeth. The Book of Killowen... After a year away from working in the field, archaeologist Cormac Maguire and pathologist Nora Gavin are back in the bogs, investigating a ninth-century body found buried in the trunk of a car. They discover that the ancient corpse is not alone—pinned beneath it is the body of Benedict Kavanagh, missing for mere months and familiar to television viewers as a philosopher who enjoyed destroying his opponents in debate. Both men were viciously murdered, but centuries apart—so how did they end up buried together in the bog? After reading my stack of books I am now on to the my hold list at the library which is also a lovely long list... here are some favorites. When Lydia’s body is found in the local lake, the delicate balancing act that has been keeping the Lee family together is destroyed, tumbling them into chaos. Imagine this: It's your birthday. The doorbell rings: No one is there. But a book is there wrapped with ribbon silvery as London's Thames River at teatime in April. Alexander McQueen might well have tied the bouffant bow. Kathleen Tessaro's new novel, The Perfume Collector (Harper), is a mystery, a journey, which takes us from Paris in 1955, to spring in London the same year. Then we're in New York, and it's 1927! We visit Monte Carlo, England, and ah, back to Paris. The Perfume Collector, Tessaro's striking fifth novel, is fragrant with suspense. You will learn astonishing secrets about perfumes: classic, forbidden, long lost, as memorable as this story. Soooooo, what are you reading that I should put on my list? Do share. I like to read real books. I like to see the typeface used, the type of paper, if they do any special illustrations for each chapter. But I was on vacation a couple weeks ago and decided to load my iPad with books. This was my first one. At first glance Harold Fry is a sad, lonely English milquetoast, the human equivalent of a potted geranium. “The Unlikely Pilgrimage of Harold Fry,” Rachel Joyce’s first novel, contrives a way to shake him out of his monotonous life and send him on a voyage of self-discovery. Harold will learn that there is more to life than mowing one’s lawn. Readers will learn that one man’s quiet timidity should not be taken at face value. Potted geraniums have feelings too. I did enjoy this book. But then I got to read most of it in sunny Oak Creek, AZ in the back yard of a nice house with the sun warming me. OK, maybe I choose these two book in part because of their interesting titles. Both were good vacation reads. Almost done reading this nice, heavy coffee table book on 100 years of Hallmark. I always wanted to work at Hallmark. Now that I am reading this book I really wish I had a chance to work there. This book is borrowed and I need to finish it and return it. I have a big stack of books that I have been given or have somehow have just appeared. I did receive the 3 volume set of The 50 Shades of Grey. I think I'll read 100 pages just to see what all the hoop-la is all about. This appears to be a rather eclectic list, but then I think my reading always is. summer is slipping away. Like everyone else I am trying to pack it all in. I am trying to spend time on the deck reading.